You are here : Big Data Analytics News » Analytics » What Is Hadoop, And How Does It Relate To Cloud? Of late, Hadoop certification and training has attracted a lot of attention. Most people are really interested in knowing about its relationship with the cloud. In order to know more about it, one must understand the concept of big data. Hadoop certification plays a prominent role and relates to cloud in an effective way. Let us now understand its part and analyse it from the roots which entails us to know the understand the role of big data. Analytics is an approach for making decisions using which data patterns can be understood and performance quantified. To achieve that programming, statistics and research is made use of. The final objective is to help make decisions which are based more on data and less on intuition. This is because decisions which are based on evidence or data are thought of as more reliable. The question which naturally arises here is what are the key differences which separate big data and what has conventionally been referred to as analytics. Volume of Data – The amount of data which is created gets doubled after every 40 months. The current rate of data creation is somewhere in the range of 2.5 exabytes per day. In other words, the amount of data which was available on the internet two decades back cris-crosses the internet at any given time today. The figures were released in a 2013 publication of the Harvard Business Review. Velocity of Data – The amount of data which is collected is less important than the rate at which data is collected for application today. A company can be competitive so long as it has the ability to process large chunks of data in real time. One of the biggest examples would be the usage of location-based data collection by MIT Media Lab to find out the number of shoppers at a Macy’s parking lot on a Black Friday. The sole purpose was estimation of sales even before the sales had concluded. It is such kind of data which gives analysts the upper hand. Data Variety – Big data as we know it is collected from a variety of sources but the most prominent of which include GPS signals from cell phones, and messages, images, and updates posted on social networking platforms. Most of these sources of big data are rather new. Social networks such as Facebook and Twitter started in 2004 and 2006 respectively, while the iPhone was released only in 2007. Thus, the newly developed databases of today are rather ill-suited to store big data. However, the computational elements such as bandwidth, memory, processing, and storage are gradually becoming more inexpensive. Hadoop certification training is an open source project which aims to make software that would be scalable and reliable. In other words, it is a form of distributed computing which is needed for handling big data. Hadoop Distributed File System – This is a distributed file system providing high-throughput access to application data. This enables the processing of data using inexpensive computers. 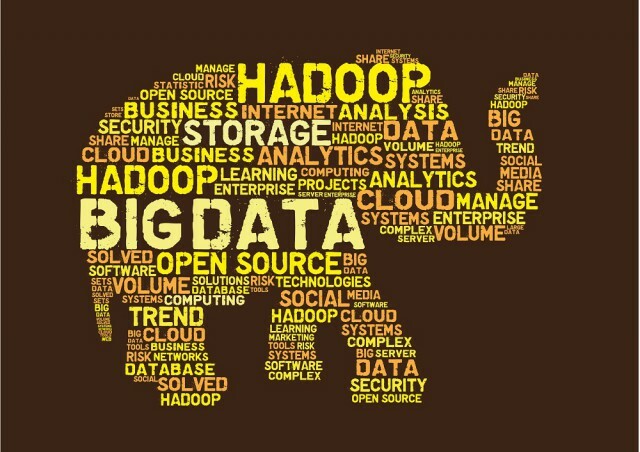 Hadoop MapReduce – This is an integral aspect allowing the distribution of large amounts of data and simultaneously processing them over clusters of computers. Hadoop Yarn – A framework which allows job schedules and cluster resources to be managed more efficiently. According to a Forrester report which was published in 2014, Hadoop is being widely deployed in enterprises and is growing like never before. The biggest suppliers include Amazon, IBM, and Cloudera to name a few. The cloud is poised to provide answers to the upcoming complexities in processing large complicated parallel data sets. This is because cloud has the agility and flexibility needed for processing big data which needs massive computing powers. Cloud is also the best platform for processing both structured and unstructured data. In other words, Hadoop together with the cloud is not just the requirement of today’s times but rather it’s a necessity.